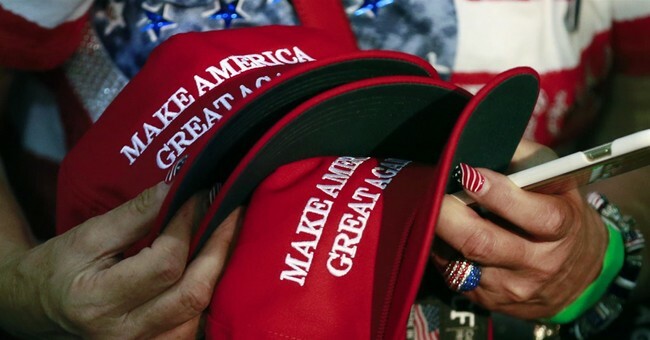 An 81-year-old man was allegedly attacked in New Jersey by someone who confronted him for wearing one of President Trump's "Make America Great Again" hats. Somerset County prosecutors said that the man was assaulted at a supermarket after being confronted by the alleged assailant over the hat, according to a local NBC affiliate. The victim had minor injuries and refused medical treatment, the outlet reported, citing local prosecutors. Should we at least say there was an alleged politically motivated assault and report on that? Sure. And it’s safe to presume that a very elderly man didn’t allegedly hire someone to assault him in a supermarket to further his career, whatever that may be for this person. At the same time, we’ll probably once again see a story where a MAGA supporter was reportedly assaulted for expressing his political beliefs, which gets zero coverage from the mainstream press, but they will devote hours of coverage to Jussie Smollett, who has been charged for orchestrating the non-hate crime against himself in the streets of Chicago. This game never gets old.